Ideally located inside the walls of Old Quebec, the iconic Fairmont Le Château Frontenac has undergone a multimillion dollar renaissance project that will cement her position as one of the world’s leading hotels. Enthrall in the electricity and excitement of Manhattan in 4-star comfort at Novotel New York Times Square. Sleek, contemporary designs enhance your soundproof room and offer a tranquil vantage point for breathtaking city views. Supernova Restaurant, Bar, and Terrace's unmatched ambiance and style, creates unforgettable dining experiences. 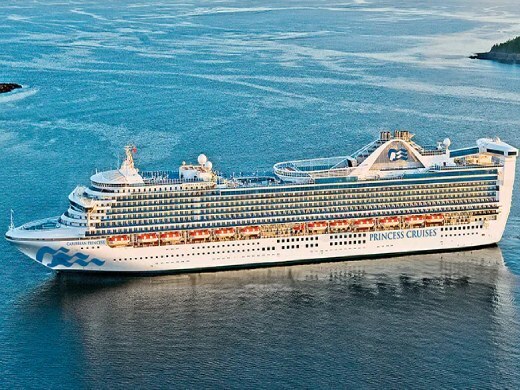 Escape completely® on Caribbean Princess, one of the stars of the destination that bears her name. At her launch in 2004, this incredible ship introduced Movies Under the Stars® - a giant poolside movie theater featuring first run movies, concerts and sporting events. Here you can relax in a cushioned lounger with freshly-popped, complimentary popcorn under the night sky. Onboard, passengers can also enjoy a variety of street performing acts in the Italian-inspired Piazza, indulge in a soothing massage from an outdoor cabana at The Sanctuary®, or savor a premium steak cooked to order in the Crown Grill. Enthrall in the electricity and excitement of Manhattan in 4-star comfort at Novotel New York Times Square. Sleek, contemporary designs enhance your soundproof room and offer a tranquil vantage point for breathtaking city views. Supernova Restaurant, Bar, and Terrace’s unmatched ambiance and style, create unforgettable dining experiences.